For July's Sew Club we made some of my favorite little summer dresses from Weekend Sewing. This is the third time I've made this dress. Sadly, each time I forget how to do it and cling to my instructions. 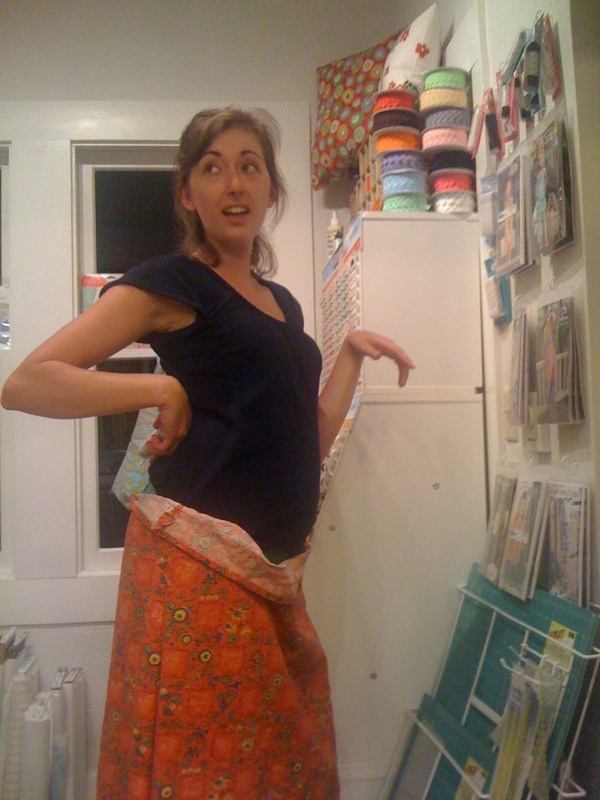 If you have the Weekend Sewing book, you know that the dress instructions are for baby to infant sizes, but with Heather Ross' tutorial we were able to make the adult sized dresses. The dresses turned out great. However they were a bit difficult for some of our sewing machines. The elastic smocking was rejected by all of our sewing machines so we had to quite a bit of testing with sewing lengths and tension. But this was especially true for my dear friend Jennifer, who bought fabric that was previously curtains and was a bit too stiff. Luckily, Cool Cottons' Marie knew what to do and helped her transform her upcycled fabric into a cute little skirt. 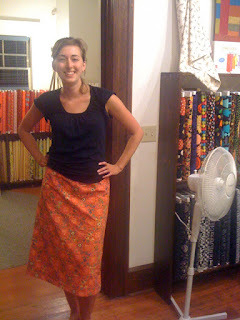 How cute is she in her sweet summer skirt! Way to upcycle Jennifer! We're taking a break in August but will start up again in September. The next project?? Probably a dress. Any pattern suggestions? Looks like I'm singing "I'm a little teapot" in the first picture! That curtain-skirt is fantastic in the garden. Oh, yes.